I am taking some time off from the blog this week. I will be back next week with more news insights and trends. Servant Leadership means gaining knowledge and teaching others. There are plenty of things to discuss when you get into the world of agile development. There are certifications and long nights working with developers. There are times when you feel like a nursery school teacher trying to get your people working together. Other times there are moments of quite contentment where you realize you are doing the right thing and that you are making a difference. Agile is many things. It is not boring. This week on the blog I wanted to share a little wisdom I learned many years ago as I wandered my college campus. 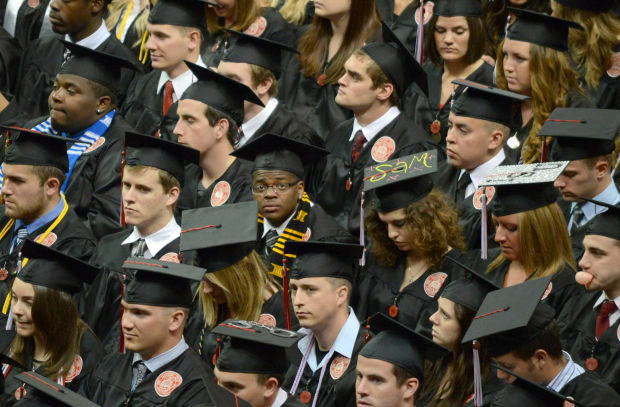 This week was commencement week at Illinois State University. 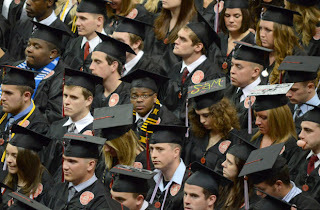 Graduate students and undergraduates walked for ceremonies. What made the experience more heartfelt for me was that some of the people walking were the children of friends and family. For all those newly minted Redbird alumni, I just want to say welcome to a very special club. The moto of the university is “And gladly would he learn and teach,” although it has been changed since I went to campus. I thought this bit of wisdom came from the Bible but instead it comes from Chaucer and describes the medieval clerk. A clerk. The person who makes sure the bills are paid. The person who makes sure the paperwork is in order and the person who for all of history has toiled anonymously under tyrants, kings, generals and thought leaders. No one in elementary school dreams of being a clerk. The life of a doctor, firefighter or astronaut seems much more satisfying. Here is a secret, the modern world would fly apart without clerks. The trains run on time because someone has a job to make sure that they do. They have a staff of people who make that happen. The trains run on time in bad weather and during contract negotiations. The trains work when budgets are cut and the politicians have unrealistic expectations. Over the last 400 years clerks, using engineering skills and bureaucratic knowledge have created the modern world we live. That is a mighty burden on a class of people which most of us look at with shame and contempt. It is the clerk and the teacher who has the burden of 400 years of western civilization to maintain. If we go back to the ancient Egyptians, that burden is over four thousand years of history. All of it managed by clerks who were educated with the best knowledge of the past and willing to try and improve on existing practices. Where I am going with this is that it is up to us, those of us many people negatively refer to as clerks to try and make a difference in our offices and communities. The agile movement was founded not by business leaders but project managers. These clerks were the people who noticed that what they were doing was not working and decided that some radical change was in order. This is why we have the agile manifesto. This is a reformation happening not from the C-suites or boardrooms of power. Instead, it is taking place in the cubicles and the leaders of this reformation are clerks! If you are wondering how this ties back into my nostalgia for my Alma mater. The slogan is: “And gladly would he learn and gladly would he teach.” A good servant leader is a lifelong learner. Each day they take the knowledge they have gained and share it with others. So whether it is explaining heteronormative theory to the HR lady or SOLID programming principles to a junior developer, it is up to a servant leader to be learning all the time and sharing our knowledge with others. As a Scrum professional and agilest it is up to us to lead reformation by gladly learning and gladly teaching others. I think that lesson alone has stayed with me since I was undergraduate. Not the same person who graduated from ISU. It is a special anniversary of sorts. Twenty-five years ago I walked commencement for my undergraduate degree from Illinois State University. Five years ago, I received my Masters in Management from University of St. Francis. I am very proud of those accomplishments but I confess what I gained from those educational journeys was not what I expected. The web site LinkedIn has gotten into the act by having its major authors talk about what their current selves would tell their freshly scrubbed 22 year old selves graduating from college. This week I don’t want to share advice but rather illustrate the radical changes which have taken place in the last 25 years. Putting things in perspective, my senior year of college, was supposed to be “the end of history.” The Berlin Wall had fallen. Communism was in retreat. The economy was in a downturn but we would not know how bad it was going to be until the college canceled the job fair. Microsoft had just released widows 2.0 to the market place. That did not matter to most of us college kids we had MS-DOS personal computers or Apple II computers to do our work. The phone system in the dorms was so bad that we could not hook up a modem because each room did not have an individual line. We were on party lines where if someone picked up a phone in another room it would disconnect the modem. Silicon Valley made semi-conductors and not millions of start-up dollars. Mark Zuckerberg was a six year old. That was the world I graduated into. My brilliant career in radio lasted 18 months and then I drifted around in retail and the casino business before finding my way at the age of thirty working my first entry level job as a Visual Basic programmer. Over the last seventeen years, I have seen trends come and go. I have witnessed the giddy and stupid days of the dot-com bubble. I suffered through the economic downturn of the post 9/11 economy. I saw the birth of Windows 95 and the flop of Vista. I watched Microsoft transform from a smug master of the universe to the technical power house which wants to be loved. All of this in my lifetime. 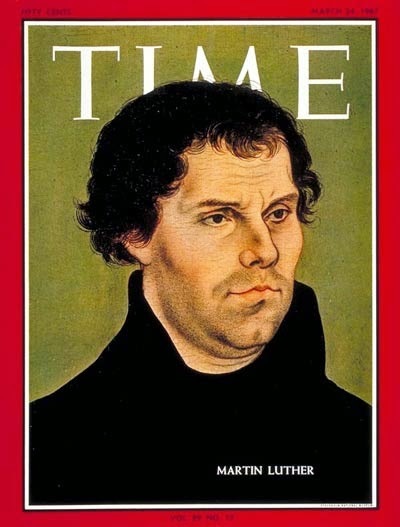 I think the most important thing I have witnessed is the birth and spread of the Agile Reformation. It began innocuously enough with top project managers getting together at a ski lodge and to share ideas. It ended with the agile manifesto. Now fourteen years later, I consider myself to be a missionary of sorts spreading the word and trying to make business a little less oppressive. Sometimes I feel like I am tilting at windmills and other times I earn a little victory. As a whole, I am trying to change a business culture one step at a time. I am also trying to build my own business at the same time. I don’t think I could give any advice to my 22 year old self. I doubt he would believe all the missteps failures and misfortunes he would experience would lead to the life I currently have. I find it surprising myself. At 22, I was going to be a disc jockey to rule the world instead I became a missionary quietly leading change in global business. The future belongs to misfits like me and other innovative individuals who want to change the world. I am glad you are along for the ride.